I sometimes wish that my iPhone was my remote control for everyday life. I want it to do everything for me, or at least make life easier. Ever since I started taking an interest in photography, I’ve wanted to be able to link my iPhone to my DSLR camera to extend my reach and take self portraits. As you can imagine, I was thrilled when I received a review copy of the ioShutter cable to try for myself from Photojojo (a photographers haven of awesomeness)! The ioShutter is billed as “cord/app combo that lets you control your camera’s shutter with your iPhone, iPad, or iPod Touch’s smarty-pants iOS brains” (from Photojojo). 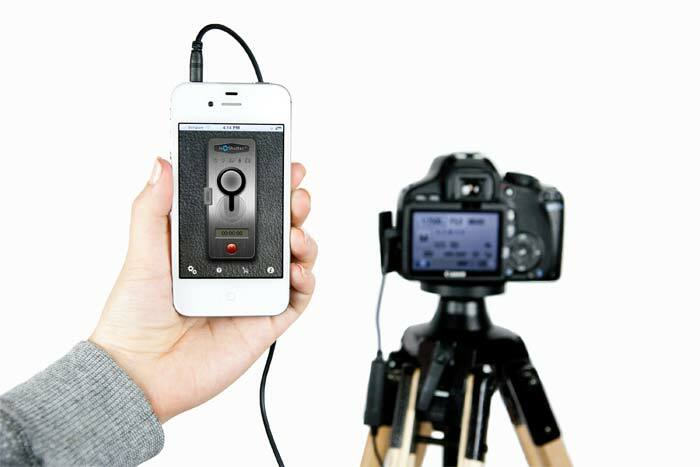 The ioShutter cord will cost you $60 at Photojojo or other retailers, but the “lite” version of the iPhone app is free. While this price is about double the cost of a normal wired shutter release cable, it does give you a more control in terms of the pictures you take. The ioShutter lite app includes a free timer, time lapse controls, programmable bulb, clap sound trigger, and shake activated trigger. The $9.99 Pro version adds an ability to schedule pictures via iCal, run time lapse for days, set a dB level for the sound trigger feature, and program your iPhone’s movement sensors to do different things. The ioShutter is compatible with iPhone G3 and beyond, iPod Touch g4 onwards, and all iPads. There are three versions of the cable. The E3 version is compatible with Canon, Pentax, Samsung, Hasselblad, and Contax cameras. The N3 version is compatible only with Canon cameras and the Nikon version to be released Fall 2012 (DC2 model). Make sure to check the website and get the cable that is compatible with your camera, they are all dependent on which cable port is built into the camera. So, what did I think of it? I like the features, but its not what I was hoping for. I was most excited about the clap shutter feature, thinking that it would allow me to take pictures from a further distance away. Unfortunately, the cord is only about three feet long, and I think my iPhone mic only has a one to two foot range. This means you have to have a very short focal length in order to take a clear image of yourself. I suppose that the Pro version might have been better since I could change the decibel level of the snap or clap that the shutter would react to. I will say that when I was close enough to trigger the shutter with sound it did indeed work as expected, even searched for and found the new focus point before taking the shot. This was the same issue I ran into for the shake feature. You had to be very close to the camera in order to hold your phone and control it. I really think the next version of this should be a wireless version with a bluetooth or radio transmitter between the phone and camera. I was impressed with the responsiveness of the shutter taps, and would likely use this when photographing large groups using a tripod. The ioShutter cable would give me enough mobility to take pictures while getting everyone’s attention (something you know can be difficult when you are behind the camera). The ioShutter cable is very useful for doing long exposure pictures. As you know I’m an astronomer by trade, so taking star pictures is always something I’m trying to attempt. Long exposure pictures at night are not easy. Any shake ruins your picture, even the tiny shake that comes from touching the on-camera trigger, so using a trigger cable is a must. The programmability of this feature allows the photographer the ability to step away from the camera and not worry about the image being taken at the right time. Again, this would be nice with a wireless feature so that you don’t have to leave your iPhone out with your DSLR on a cold night. The best part about ioShutter is that modes can be combined to create truly awesome photos. You can start a timer with a snap, shake your phone to start a time lapse exposure, or use a timer to trigger a pre-programmed long exposure. All in all, I LOVE the ioShutter cable and app combination, I just wish it were wireless. I’ll admit even though the cable didn’t have the self portrait abilities that I was hoping for, I was able to use it to try out a new shoot location on a railroad nearby. It was a nice portable accessory to include in my camera bag.